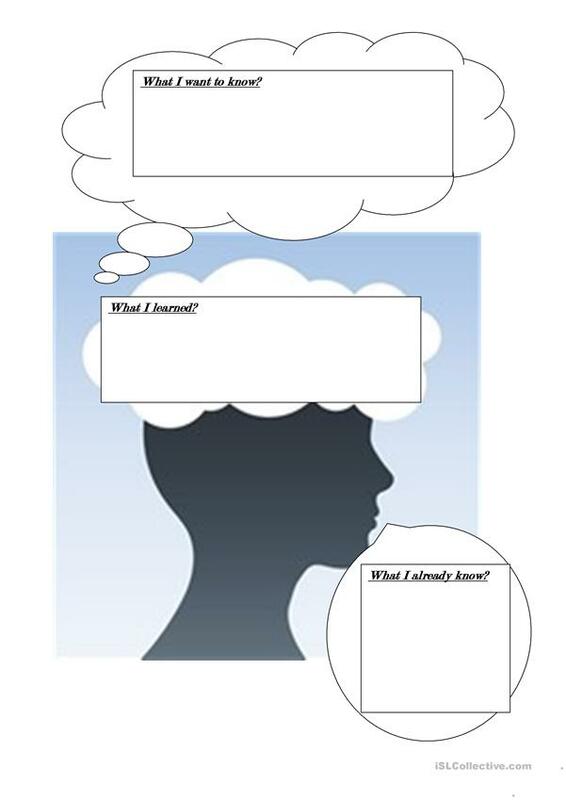 KWL chart can be used for all levels,at the begining and at the end of the lesson. The present downloadable handout is recommended for elementary school students at Beginner (pre-A1), Elementary (A1), Pre-intermediate (A2) and Intermediate (B1) level. leenlaith is from/lives in Saudi Arabia and has been a member of iSLCollective since 2011-12-11 17:11:03. leenlaith last logged in on 2013-04-10 18:45:46, and has shared 2 resources on iSLCollective so far.